AutoNation wanted the most cost-effective means to update store window murals with its new logo. There had to be a better way than reprinting up to 15 panels per store. Using store-specific info and sizes in AccuStore, we were able to tell, by store, which panel of the mural had the logo on it and reprint only that reprint only that one. AutoNation saved time, money and labor expense by printing half the amount of window murals. AccuStore lets you target your graphics down to the store level, so you print only what’s needed and nothing more. 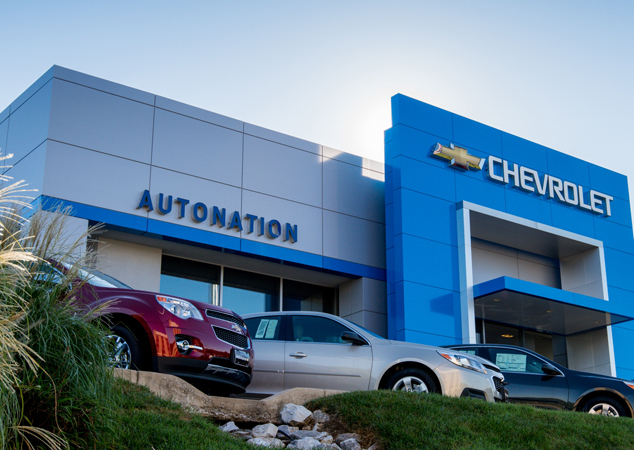 With every store profile now updated in the AccuStore database, AutoNation has the information it needs to save on any future rollouts. AutoNation saved more than $100,000 in printing costs, labor and overage by targeting their brand refresh to the stores’ specific needs. AccuStore’s store-specific data helped AutoNation save $100K on décor rollout – that’s roughly a savings of 40%!